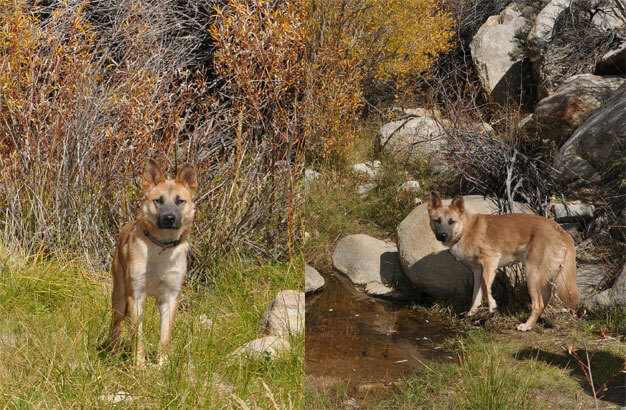 Wyoming has been in a wonderful GSROC foster home and has come a long way from when he was first rescued. He is housebroken and socialized. He loves to play with other dogs and ignores the cats in the home. He is crate trained and is comfortable sleeping in the crate at night or on the floor by the foot of his foster family’s bed. 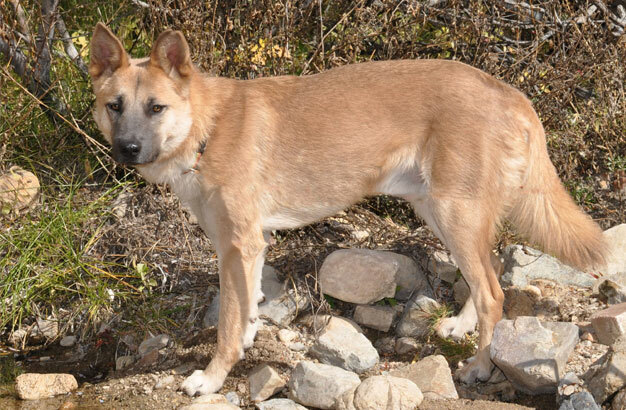 Wyoming is a a shepherd mix, a great medium sized dog with a beautiful sable colored coat. He takes time to warm-up to anything new – new people and new situations. 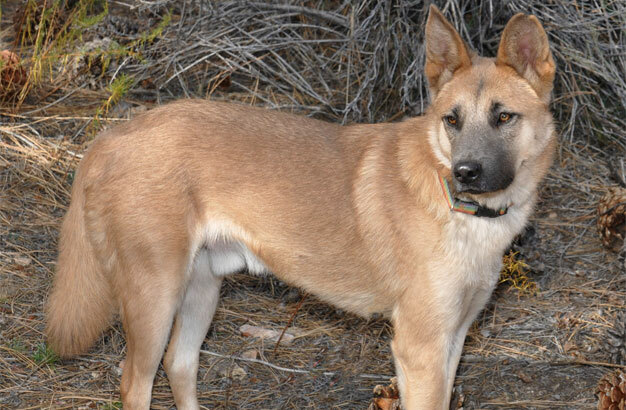 A gentle, quiet home will be ideal for this sweet boy. Wyoming loves playing with other dogs, and should be in a home either with his big brothers Nevada or Dakota or other playful dogs. He would love a home with multiple dog friends, and he gets along with all of his foster siblings, including a chihuahua. 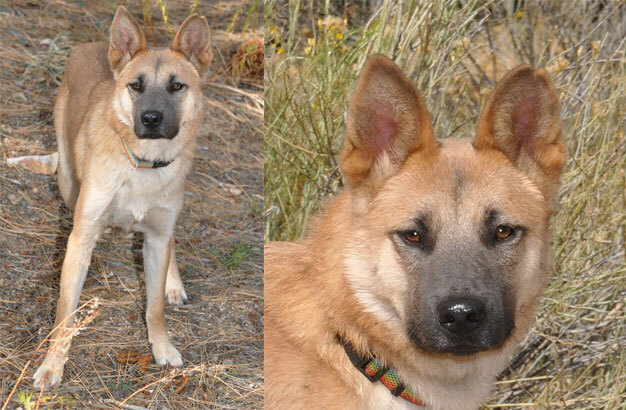 He follows his big brother Dakota and Nevada’s lead, so he would best fit in a home with a dog that could take that role if not with Nevada or Dakota. He plays well with other dogs, and is dog friendly. Wyoming is around cats at his foster home, but does not have close interaction with them. He would be appropriate in a home with cats, but not left alone with them to be safe as he does have a play drive. He would thrive in a home with a regular schedule, and would be fine with a family that is at work during the day (once he was comfortable) as long as he had a safe yard to play in and dog friends with him. Wyoming loves to go on long walks, and has really great leash-walking skills. He walks very easy on leash, unless he gets startled. When he gets startled, he just doesn’t know what to do – either try to hide behind you or run for the hills! Wyoming should not be let off leash as he is startled easily and will run in fear. He is learning how to have fun now that he knows he is safe, loved and cared for! 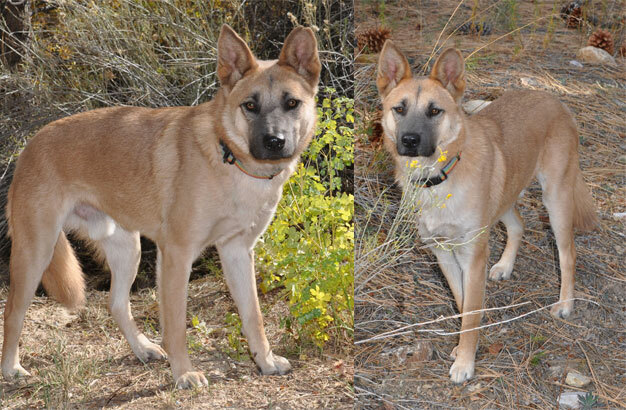 Are you looking for a special, gentle dog that needs your love and patience? 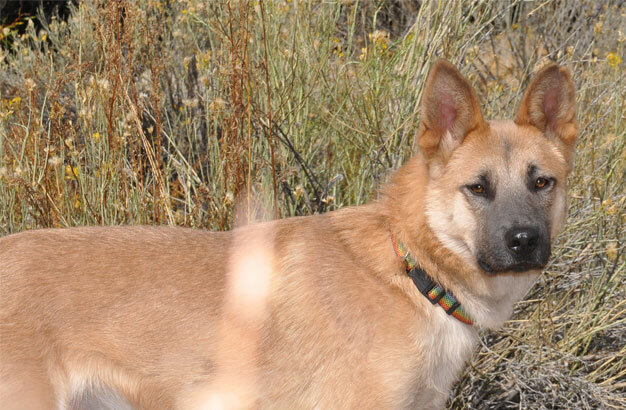 If you are looking for a dog that will blossom with patience and love, please complete the online application and an adoption counselor will contact you. male If you would like to meet Wyoming, please complete the online application and an adoption counselor will contact you.